About six months ago, I was asked by members of a Minnesota state grant to speak on a panel about building apprenticeships in fast-growing industries. Walking into the conference room, I was greeted by one of my fellow panelists, and she showed me to our table where the other speakers were sitting. We began cycling through introductions, catching up on workforce trends, and nodding when one of us recognized a mutual contact or business partner. A few minutes into our conversation, someone came up from behind my chair and placed a hand on my shoulder. I’m sorry, you’ll have to find another seat. There’s a bunch of open tables over here (gesturing). This spot is reserved. I turn to my right and look up. The fingers that were gripping the collar of my jacket belonged to the person who was responsible for organizing the event. Until now, our only contact had been over email when my name came up as a possible panelist. In preparing for the event, I read articles about this person’s work online and browsed their LinkedIn profile. The same face was looking down at me, the way a teacher scolds a student, as the other panelists gazed on, slack-jawed in shocked horror. I smiled and raise my hand to shake theirs. Hi … I’m Andrew and I’ll be sharing my experience building an apprenticeship in field of advanced manufacturing. I don’t think we’ve met in person yet. The awkward moment hung in the air, and they quickly recovered by saying: You look so young. (laughing) Everyone else here is, well, a lot older than you. (Addressing the table) Doesn’t he look young? A friend tells me she enjoys watching customers’ eyes shrink and then yawn with rage when she says, you’re already talking to her, I am the manager. We’ve learned to accept that being young in an industry dominated by older folks, you’re not taken seriously until (somehow) you’ve earned their respect. Right or wrong, this is what young people put up with until their bodies can signal that they “deserve” respect—signs like salt and pepper hair, a receding hairline, or crow’s feet that delicately graces the soft flesh beside their eyes. At this point, I was willing to dismiss the embarrassing interaction and move on with my day. Mistakes happen. We were meeting for a good cause—sharing strategies to educate the workforce—and I didn’t want to shift the focus. And then I heard the closing message, which was deliver by none other than the person who organized the event. I couldn’t believe what I heard. I asked myself: did that really just happen? A cultural stereotype was legitimized by a government employee at a state-sponsored event filled with local business leaders. That’s when I realized the missing piece in the whole workforce-education equation: we have multiple generations working together, each with their own unique background, behaviors, and beliefs. Instead of diversifying and figuring out how to work together, we are sticking together with the people we feel comfortable with, and it’s contributing to workplace tension. 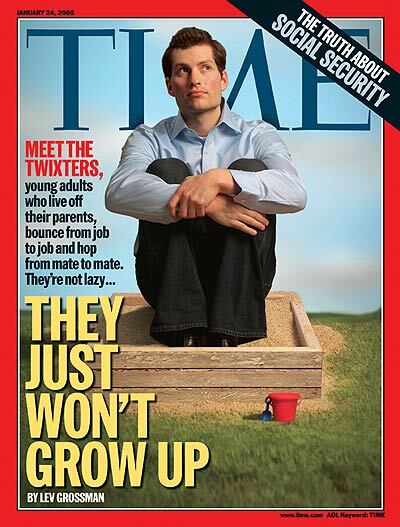 Right now, the newest generation is the millennials (not for long, Gen Z is well on its way!). I’ve walked into enough conversations to know the commonly held beliefs about the youngest generation, and I know it’s an issue because when someone says, oh, we’re not talking about you, you’re a good millennial, this is the beginning of bias in the workplace. We talk about bullying and hazing in schools, but rarely do we talk about how the older generation imposes the exact same behaviors on the younger generation, in plain sight. 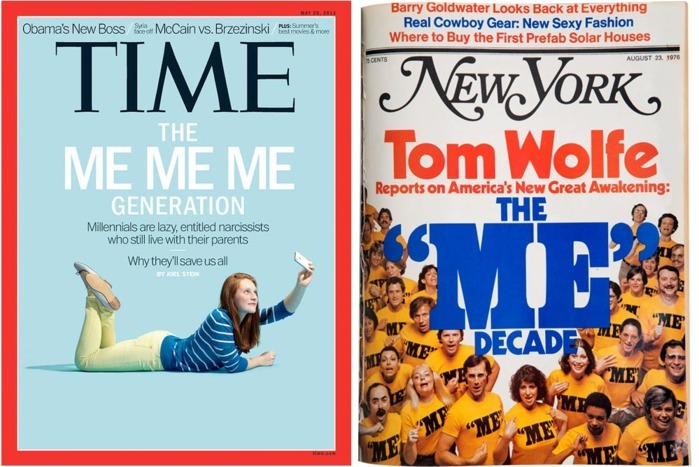 As you can see by the magazine covers throughout this article, multigenerational bullying isn’t new: every generation gets hazed, almost as if it’s a rite of passage. If this so-called hazing has been going on for… well… as long as we can remember, why bother changing anything? Each new generation begins by having their credibility called into question. This hurts all of us, because we are all connected. 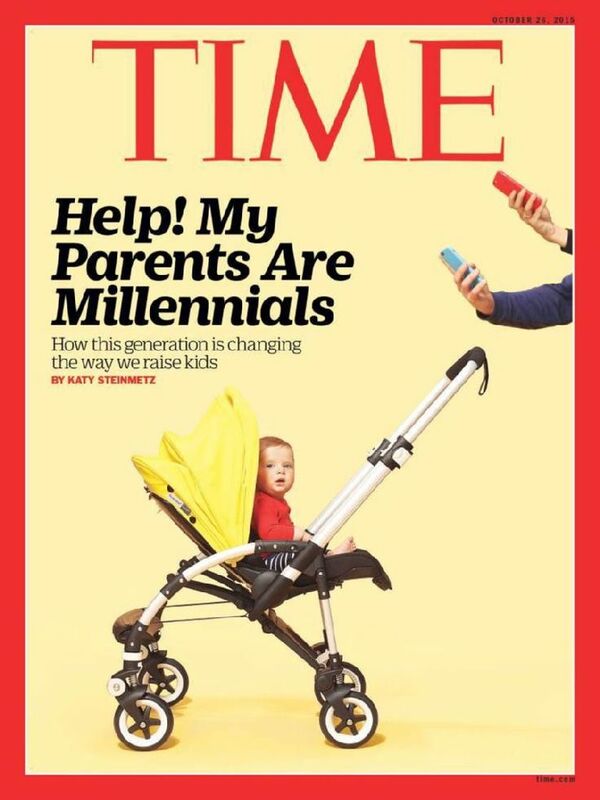 We could be more innovative and productive if the older generations extended a helping hand instead of pushing the younger generation down right as they are beginning to walk. This builds resentment in the new generation entering the workforce, when they should be looking to the older generation for guidance and leadership. Even worse: the younger generation begins believing the stereotypes, and some of it becomes a self-fulfilling prophecy. For example, when I was writing Age of Agility, the original subtitle had the word “millennial” in it. The subtitle was revised because so many millennials (nearly 80 percent) said they wouldn’t buy a book that sports the word millennial on the cover, because the word carries too many negative connotations. Millennials don’t want to identify with millennials. The stereotypes perpetuated by the older generations contributes to a reduction in self-worth when the young need it most—that’s why I think we see so many young people struggle with balancing confidence, whether it be overconfidence or lack of self-esteem. Important side note: Millennials are not the first generation to experience this AND this is common elsewhere when a dominate group exerts their beliefs (their bias) on a culture. In addition to age discrimination, there are other types of discrimination occurring as well. See also: hegemony. See also: race, culture, and gender studies. All these issues are an important part of a healthy and productive workplace. Here’s what we can do: stop the cycle. Stop generational hazing. And we need it to end NOW. When we silo ourselves away from other generations, we forget that everything we do affects others. The qualities assigned to millennials: entitlement issues, the “everyone gets a trophy” generation, always being connected to our technology—it all originated somewhere, including some of the positive qualities, like being tech-savvy and entrepreneurial. 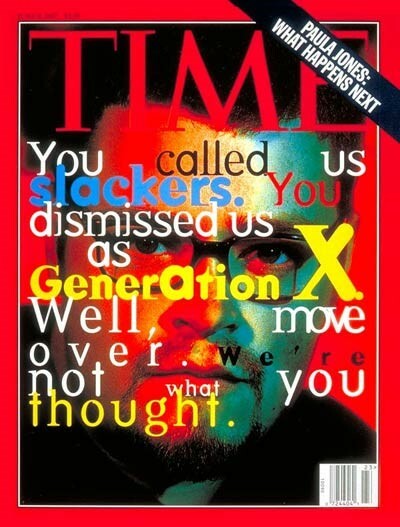 We all need to remember that millennials and Gen Z are only the newest links on the end of the chain, and everything about us came from the links we’re connected to. To insult the younger generation is to insult the ones who came before. Regardless of your age, we’re all part of the solution, and because we are all connected, if we end generational hazing, we will all benefit. The following are some suggestions to help support a healthy work environment in general, but especially for Gen-Z and future generations. I was lucky. For many, the negative voices outnumber the supportive ones. I had some great teachers who didn’t give me a hard time for being young, naive, and inexperienced. They saw me as someone they could share their knowledge with, not a younger sibling who becomes a punching bag when they become stressed, overworked, or jealous (I’ve had those as well). The best way I can thank my teachers and mentors is by being a supportive mentor and teacher to others. Moods are contagious. If you’re having a bad day, others are affected by it, especially if you are in a leadership position. Even on your worst days, think about the one thing that is going right, even if it’s a really bad day and the best thing you did was put matching socks on in the morning. Let others catch your positivity, because no matter how bad of a day it is, there is a solution and the people who love you won’t stop caring about you. Taking out your frustration on another person by blaming them might feel good in the short run, but it will always backfire. Even if the issue was entirely their fault, give the person an opportunity to take personal responsibility for it and grow. That’s the whole point of giving feedback, we want the person to take ownership of their mistakes and we want them to want to make a change. Typically, this process doesn’t start with curse words and end in yelling. In my experience, people are willing to take a step in the direction of positive growth when they feel supported, even when they fail. This is emotional intelligence at its best. Before jumping to conclusions, try to understand where the person is coming from BEFORE correcting them. Ask questions, validate what they are saying with I hear what you’re saying or with reflective listening, i.e. what I heard you say is… and only give advice when you are asked to do so. Unsolicited advice is something your parents did—and did you ever listen? When you earn enough trust, they will genuinely ask you for advice, and when they do, they will listen. When I have the privilege to give input, I focus all my emotions on the person and all of my logic on the problem. This way, I separate the two so the person I’m talking with knows I’m not criticizing their character, rather, I’m simply giving my read of the problem. It’s hard to not be offended when someone characterizes you unfairly. Instead of reacting to the words they’re using, look for the message behind the words. For example, when an older person says, I fear for the future. What they might be saying is, I’m afraid of change and young people change things. When you realize their fear is unsubstantiated, it’s less offensive and you can move on to what the real issue is. Often, arguments that feel huge are really only over semantics. For example, one of the school districts I’m working with can’t agree on what they should call the basic skills missing in education that are required at work. Are they soft skills, foundational skills, essential skill, or critical skills? Does it really matter as long as we agree on which skills needs to be taught? Being the emotionally intelligent individual you are, you can be patient and respectful when reminding your coworkers to focus on what’s important: the message behind the words. Everyone you meet is struggling with something you can’t see on the surface. Be patient, because what appears to be a half-hearted effort might be all they can do. Additionally, we should remember that young people are just getting into the swing of things—you, on the other hand, might be following the same routine of many years. If you’ve forgotten, doing something new is difficult. Working 40 hours a week is difficult for someone who’s never worked it before. Be patient as they adjust. For example, a young person may think they are incredibly busy. You think to yourself, it must be nice to be single, not have kids, and only have one 40-hour/week job. I’d kill of that kind of peace, you might think to yourself. Instead of saying: kid, you have no idea what busy is, do you?, validate the hard work they’re doing now, because they’ll ramp up the workload soon enough. The greatest generation is the one we are currently cultivating, and every one of us plays a role in their future. It takes all of us—we are one community, one family, one people, and it takes an entire tribe to raise our children. As we sow so shall we reap. Millennials (and Gen Z) have a lot to offer. Unfortunately, we’re not given a fair shot because of the rumors other generations spread about us. To set the record straight, I want to bring up two of the biggest misconceptions about millennials. Granted, there are some young people who will fit the stereotype, just as some older folks will fit their generation’s stereotype. I’m bringing in data to characterize millennials, because we can’t rely on he-said/she-said stories. 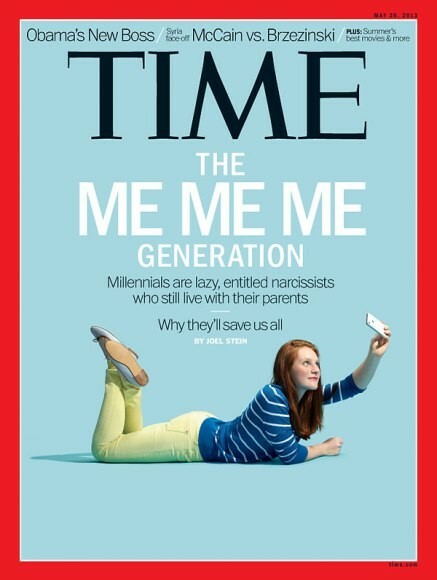 Critique: Millennials are the more selfish than any generation. All they think about is themselves. Dollar for dollar, millennials don’t give as much (we don’t have as much money because, on average, we don’t make as much as the other generations). But more of us give what we can. In addition, Millennials value volunteering more than other generations, (Source ) because this is something we can do that doesn’t cost us money. Critique: Millennials are disengaged at work and ask for more recognition and benefits.